Almost all medical malpractice cases require expert opinions. There are numerous rules governing the information that may serve as the basis of expert opinions. Consider the following: Medical experts may base their pinions on first-hand observations, data offered to the expert by patients and relatives and opinions and reports from hospitals and staff records, and facts within the record but not within evidence. Experts may also base their opinions on interrogatory answers, depositions and other expert depositions. Experts may also base their opinions on medical literature and yet the contents of medical literature shall not be disclosed on direct examination. Conclusions must be held to a reasonable degree of medical certainty. Opinions as to what "could" or "might" have happened are appropriate, and the expert can also testify as to what "did" happen. Proving medical malpractice cases involves a significant degree of legal and verbal technicality. A profound understanding of applicable case law is necessary in order to pursue medical malpractice cases in Illinois. The Federal Rules of Evidence allows expert witnesses on direct or cross examination to testify as to statements contained in published medical treatises, as an exception to the hearsay rules. Federal Rules of Evidence 803(18). Illinois has not adopted this rule into its own code of evidence. In Illinois, learned medical treatises can still be used under certain circumstances and with numerous limitations. In Illinois medical texts are considered hearsay and therefore inadmissible Hoem v. Zia, Ill.App.3d 601 (4th Dist. 1992). However, when a medical text is deemed "authoritative" by an expert or by judicial notice, it can be used for impeachment on cross-examination. Darling v. Charleston Community Memorial Hospital, 33 Ill.2d 326 (1965). The language used to establish a book as authoritative includes the following words and phrases: "authoritative," "standard," "well-respected," "a very good book," "a standard book," and/or "a good source." The foundation for having a treatise recognized as authoritative can also be made by seeking judicial notice of the author's competence, or concession by the witness. Learned medical treatises do not need to be disclosed if they will solely be used to cross-examine an opposing party's opinion witness. Medical literature must specifically relate to the plaintiff's specific medical condition. Experts cannot read from or summarize medical literature as a basis for their opinions on direct examination. Finally, there is an interesting crossroads concerning achieving the use of learned treatises on cross-examination. While learned treatises that will be used on cross-examination do not need to be disclosed, the opinion that literature is authoritative must be disclosed, if the intention is to have the party's witness testify as to authoritativeness on direct examination. The rules and laws concerning the admissibility of learned treatises are rich and nuanced. It is very important to have a thorough plan if the intention is to use learned treatises for cross-examination. Personal injury can be disasterous, and dealing with insurance companies is stressful. Insurance companies will usually try to quickly settle out of court prior to the victim receiving proper medical evaluation. Insurance companies will do almost anything to reduce the amount of their payout. Choosing a personal injury attorney can be very stressful. Not only do you have to find an attorney who will tend to your case in a professional manner, but generally there are stress inducing underlying circumstances related to your accident. Experts play a very important role in the litigation process. Personal injury attorneys in Illinois use several types of experts including but not limited to doctors, economists, safety and design experts. Expert evidence must be presented within the tenets of evidence law. Generally, expert testimony is proper if it will assist the jury in understanding the evidence or to determine a fact in issue. An expert must be qualified to give an opinion. Specifically, an expert must be qualified by virtue of knowledge, skill, experience, training or education. The facts and data used by an expert in a particular case can be those perceived by or made known to the expert at or before trial. Additionally, if the facts or data relied on by the expert are reasonably used by experts in their field, the facts or data need not be admissible in evidence. Experts can testify to ultimate issues. Experts can testify as to conclusions. Experts can testify to hypothetical questions. And experts can testify to their opinions. It is often productive to think of experts as teachers, someone who can explain complex or specialized information to a jury. In Illinois, Supreme Court Rule 213 controls expert witness disclosures. It has become commonplace for the plaintiff bar to be attacked for filing either frivolous cases or increasing aggregate insurance costs through large verdicts and settlements. Any plaintiff attorney will argue that these notions are preposterous. The United States civil legal system is predicated on the principle that wrongs should be righted. This is why medical malpractice caps and other alleged tort reforms are unconstitutional. In these cases, a person has been harmed, and insurance companies and corporate defendants want nothing more than to prevent wrongs from being fully remedied, allegedly for the greater good, but really for the good of the insurer's or the corporation's profit margin. -markups of 100 to 400 percent on fixed cost items such as meals, faxes, or photocopies. -unnecessary motion practice that accomplishes nothing and wastes time and money. Contact a Chicago attorney at 312.726.1616 if you have questions about a personal injury case. Hearsay is a oral or written assertion, other than one made by the declarant while testifying at the trial or hearing, offered in evidence to prove the truth of the matter asserted. A statement is not hearsay if: the statement is offered against a party and is (A) the party's own statement, (B) a statement of which the party has manifested an adoption or belief in its truth, (C), a statement by a person authorized by the party to make a statement concerning the subject, (D a statement by the party's agent or servant concerning a matter within the scope of the agency or employment, made during the existence of the relationship, (E) a statement by a co-conspirator of a party during the course and in furtherance of the conspiracy, or (F) a statement by a person, or a person on behalf of an entity, in privity with the party or jointly interested with the party. As anyone who has been around a television within the last 50 years knows, Hearsay is not admissible except as provided by these rules, buy other rules prescribed by the Supreme Court, or by statute as provided in Rule 101. There are also Hearsay Exceptions that apply ONLY if the declarant is UNAVAILABLE. -Former Testimony (either given at as a witness (with exceptions) or during a discovery deposition pursuant to Supreme Court Rule 212(a)(5)). -Statement of Personal or Family History. In Illinois personal injury cases that actually go to trial are becoming the exception to the rule. 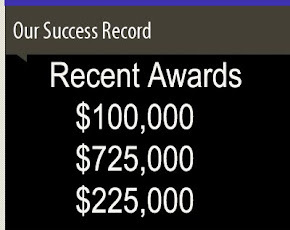 Some estimate that as few as 5% of injury cases that are filed in our court systems actually go to trial. It is true that settlement may be the appropriate way to dispose of many cases. However, at Law Offices of Adam J. Zayed, P.C. we prepare all cases that are filed as if they were going to trial. Ultrahazardous activities present interesting liability issues. (The Second Restatement of Torts uses the phrase"abnormally dangerous" instead of the more traditionally used "ultrahazardous.") Torts caused by ultrahazardous activities may be brought under a theory of strict liability. Tort claims brought under a theory of strict liablity are commonly defended under theories that show the plaintiff assumed some risk of the ultrahazardous activity. However, contributory negligence is not an applicable defense or mitigating factor to a case brought under a theory of ultrahazardous strict liability. Types of ultrahazardous activities include: use of explosives, demolitions, use of radioactive materials, keeping of wild animals, use of hazardous chemicals, keeping domesticated animals who are known to be dangerous. If you or a family member have questions concerning an injury or loss related to an ultrahazardous activity, contact an attorney at Law Offices of Adam J. Zayed, P.C. at 312.726.1616. 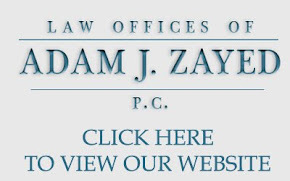 Copyright The Law Offices of Adam J. Zayed, P.C. Picture Window theme. Powered by Blogger.